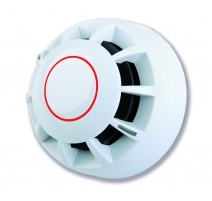 Compatible with C-TEC’s entire range of ActiV fire detectors. Includes a 1A @ 24 VDC relay controlled by detector’s remote LED output. 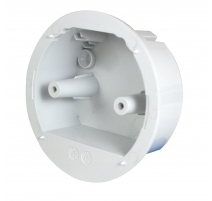 Ideal for switching CCTV, security and door retaining systems. 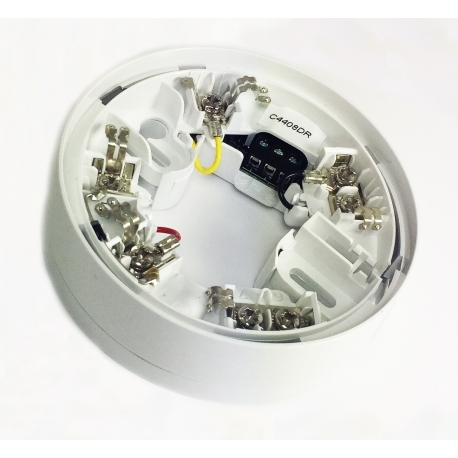 Third-party certified to the relevant parts of EN54 in conjunction with our ActiV detectors. Can be ceiling mounted in any orientation due to the true 360° degree viewing angle of the LED indicator strips on all ActiV detectors. C4408R non-diode relay base also available for use on systems that do not require head out monitoring. Approvals/certifications Certified to the relevant parts of EN54 by Intertek as part of our ActiV fire detector certifications. Connections (1) +V In; (2) +V Out; (3) Remote LED +V; (4) 0V; (5) 0V; (6) Screen; (7) Screen. NO/C/NC relay connections. Contact rating @ 24VDC is 1A. Terminals can accept up to 2.5mm fire rated cable. 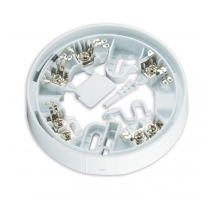 Product dimensions (mm) 102.2mm diameter x 30mm deep.